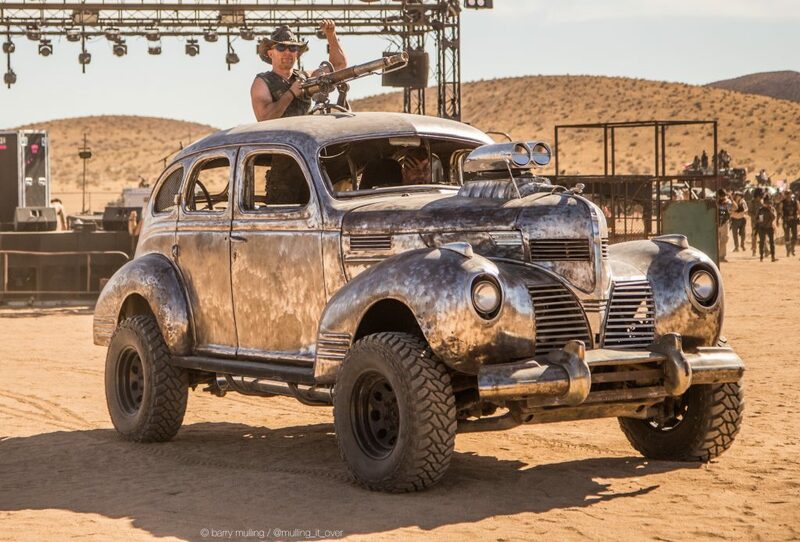 Don’t miss the 2019 Wasteland World Car Show! SCROLL DOWN THE PAGE TO SEE SOME OF THE VEHICLES WE’LL BE FEATURING! Costumes are NOT required, but they are encouraged! And unlike some car shows, most of these car owners welcome you to pose all over (and even INSIDE) their cars! (There’s less concern about scratching the paint when a car is already covered in dented/rusted metal!) – just be sure to ask first! We should have plenty of pro photographers on hand as well. Be sure to put “car show vendor” in the subject line. We have very limited space for vendors. 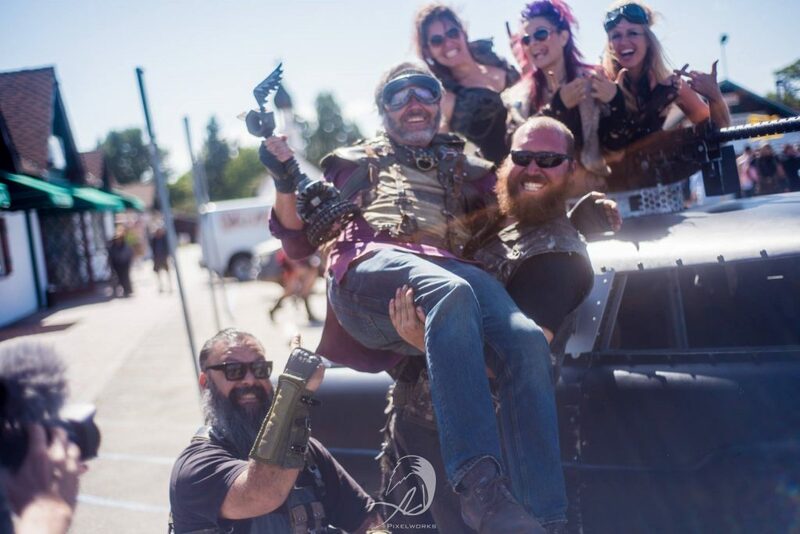 In your email, let us know if you have vended at Wasteland or at the Car Show before, and include pics of your goods and your vending setup. ALL ENTRY FORMS MUST BE SUBMITTED NO LATER THAN APRIL 3rd! But we will be selecting cars in batches as forms come in, so the sooner you submit your into, the better. We may cut off applications early if we fill up. There will be custom trophies and ribbons awarded for a range of categories! PLEASE SUBMIT A SEPARATE ENTRY FORM FOR EACH VEHICLE YOU WOULD LIKE TO SHOW. We will have some space reserved in the wide back alley for trucks and trailers since we know many people will have to trailer their vehicles in. Additionally, there is space on the surrounding streets to park trailers. If you traveling a long distance will need to leave your vehicle overnight, please contact us so we can make arrangements with the museum for it to be kept in a secured location. Each car or truck costs $25 to show, each motorcycle or ATV is $10. These fees can be paid to staff in cash when the cars arrive on site. If you prefer to pay in advance for your fee with paypal or a credit card, you may do so by contacting us at our main email address above. A PORTION OF THE VEHICLE ENTRY FEE IS BEING DONATED TO THE AUTOMOBILE DRIVING MUSEUM. They are a non-profit and it’s our pleasure to support the great work that they do. 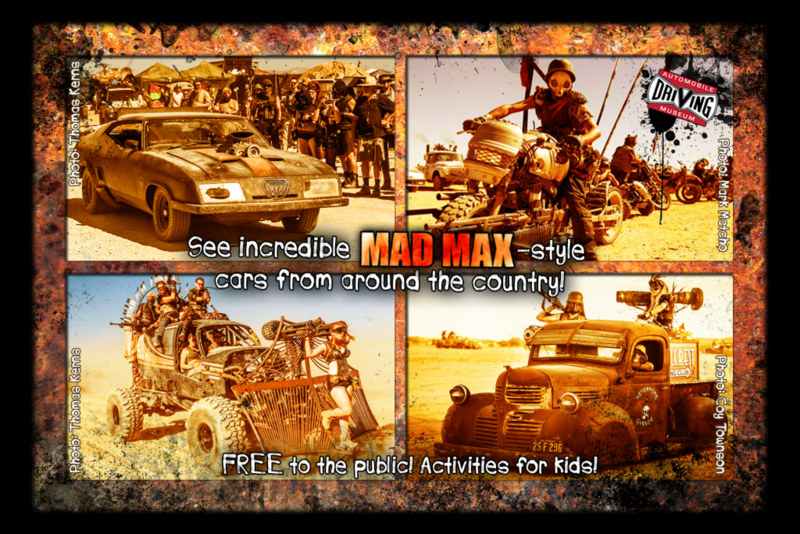 Costumes – Costumes are NOT REQUIRED for this event, but we absolutely encourage you to wear Wasteland-themed costumes! Just be sure that what you wear isn’t pointy, sharp, or dangerous. 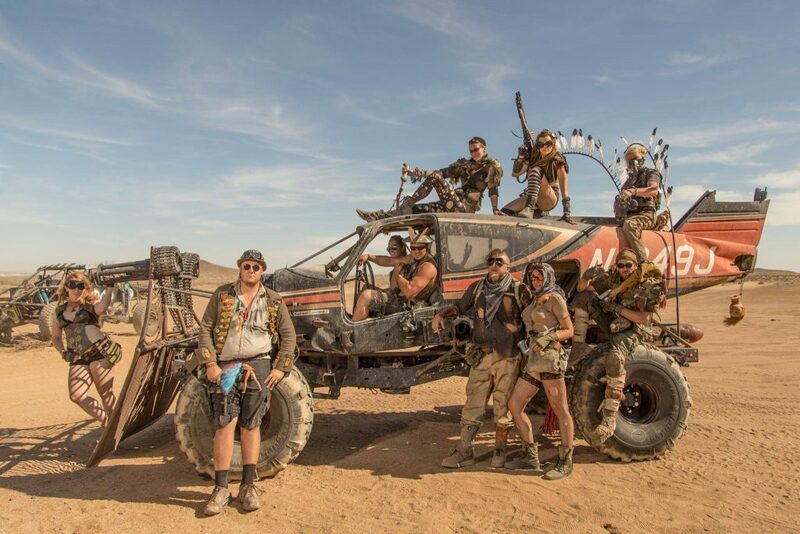 Weapons (personal) – Since this event is out in the open, in the middle of Los Angeles, please leave your Wasteland costume weapons at home. Thundersticks – Mounted on a vehicle or carried around during the daytime for photo ops, prop/non-functioning thundersticks are fine. 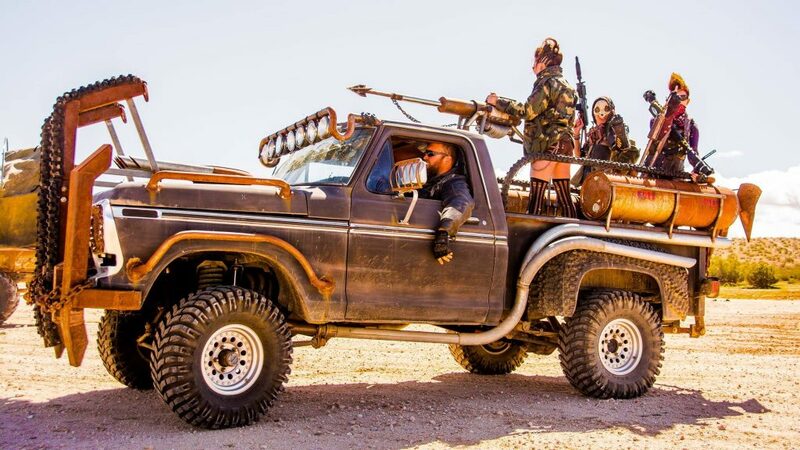 WHAT IS A WASTELAND CAR ANYWAY? 1. 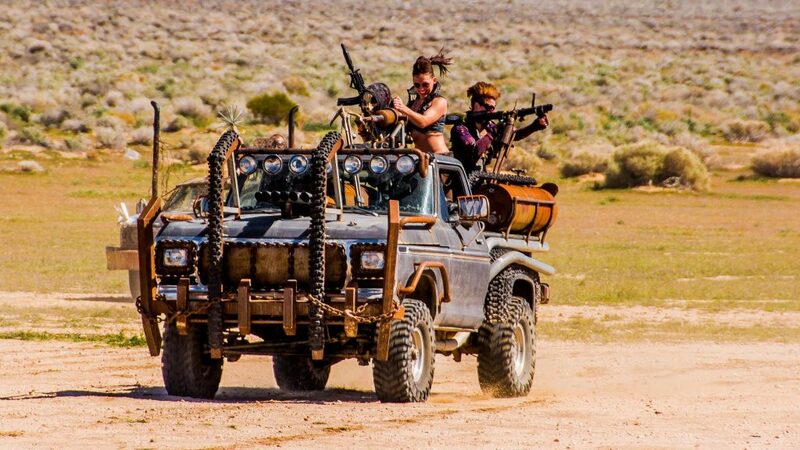 They’re off-road capable, because the post-apocalyptic world doesn’t have well-maintained roads. 2. They have some kind of armor and/or armament, because it’s a dangerous world full of marauders. 3. Older, non-computer cars are preferred because they are easier to maintain in a future with fewer resources. 4. They’re outrageous and cool-looking, with a Hollywood-style influence. 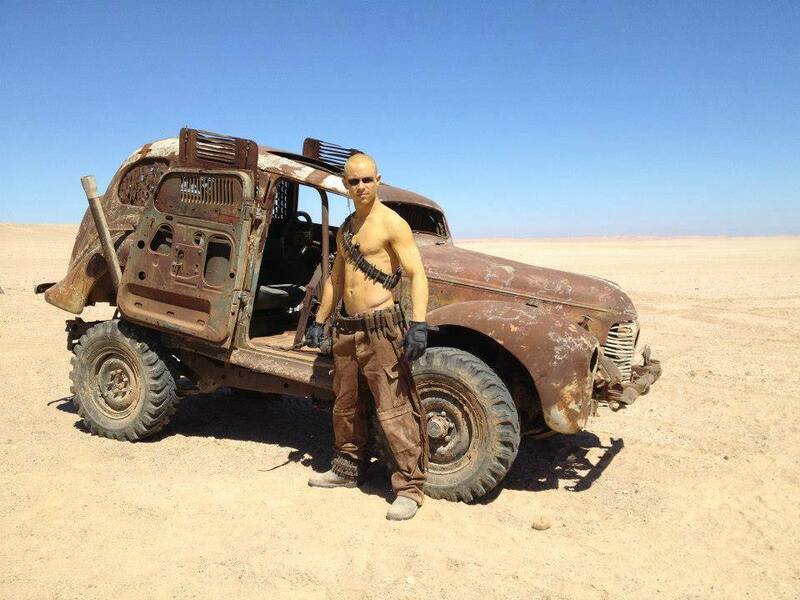 Then again, there are plenty of great wasteland cars that DON’T meet the above definitions. 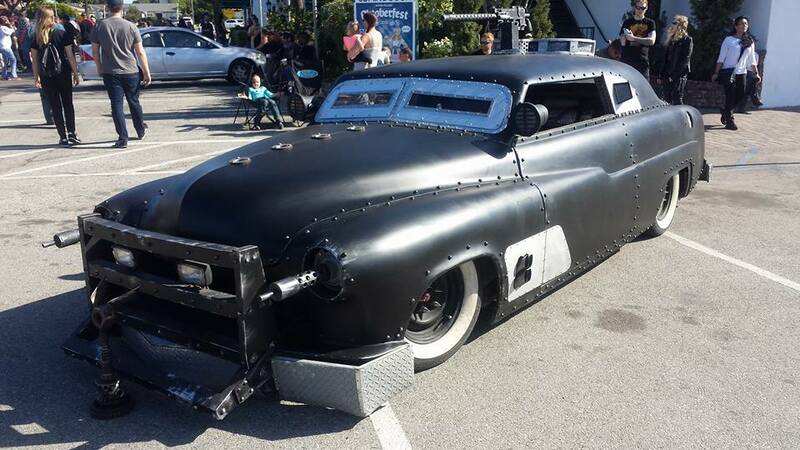 Sometimes a wasteland car is whatever the builder wants it to be. Some of them look like they were made from junked car parts found on the side of the road. Some of them look like future, weaponized hot rods and street rods. 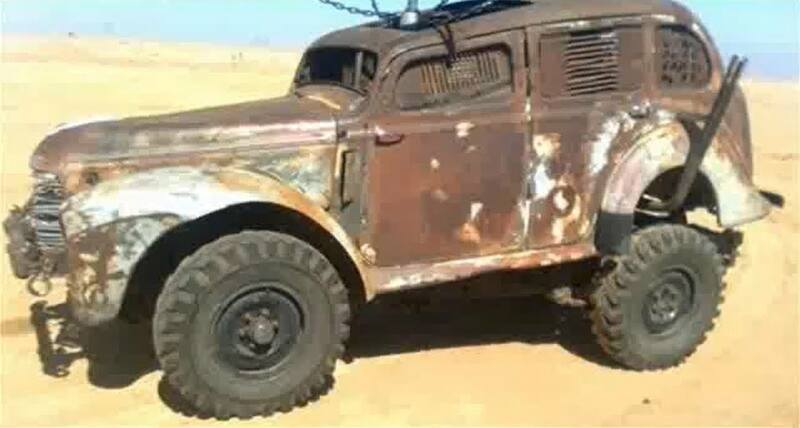 Some are exact replicas of cars from post-apocalyptic films. And some defy description, but they definitely look like they’re from a future where you need to fight to survive. 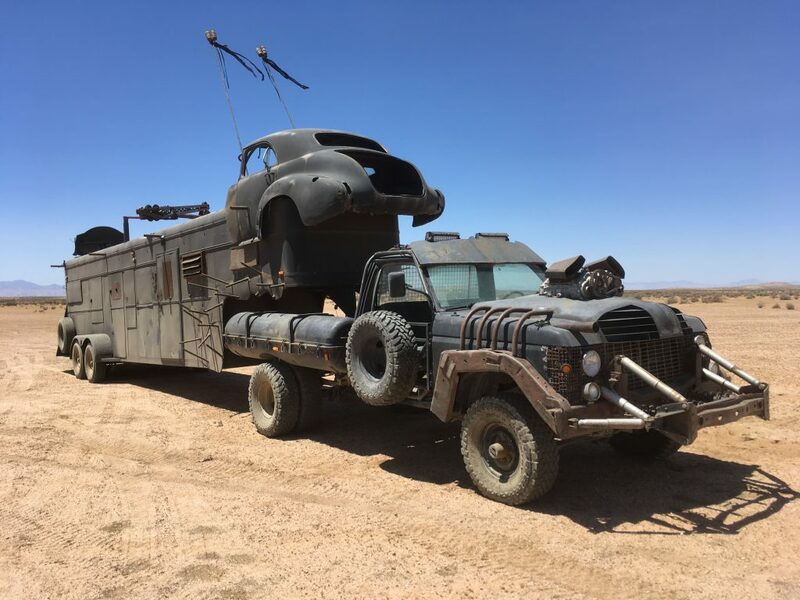 The Wasteland World Car Show is a public event but it takes place on private property and the ADM and Wasteland World Inc. reserve the right to refuse admission to anyone. HERE’S A SELECTION OF VEHICLES FROM LAST YEAR’S SHOW, 2019 CONFIRMATIONS WILL BE POSTED HERE AS THEY COME IN! 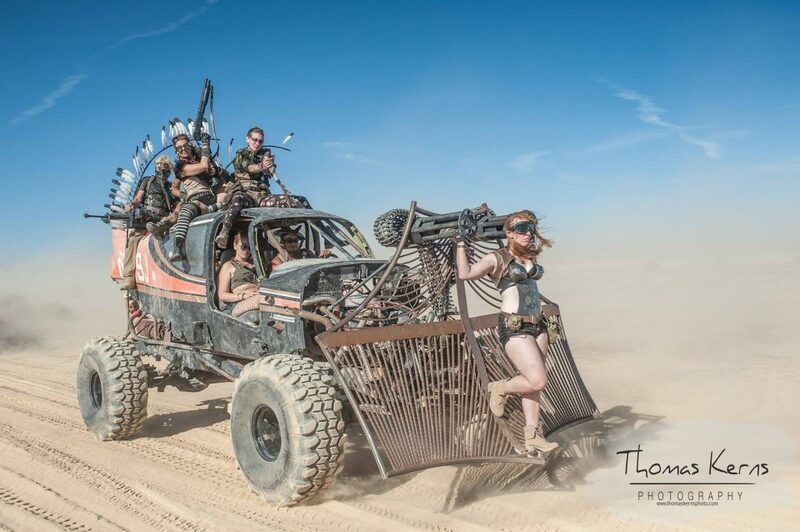 THE HILLMAN BUGGY – Actual production vehicle from Mad Max: Fury Road! 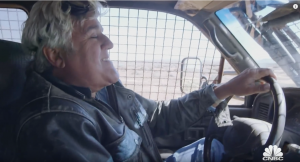 Built in Australia and shipped to Namibia for filming, learn about this car’s strange journey all the way to California when you see it in person. 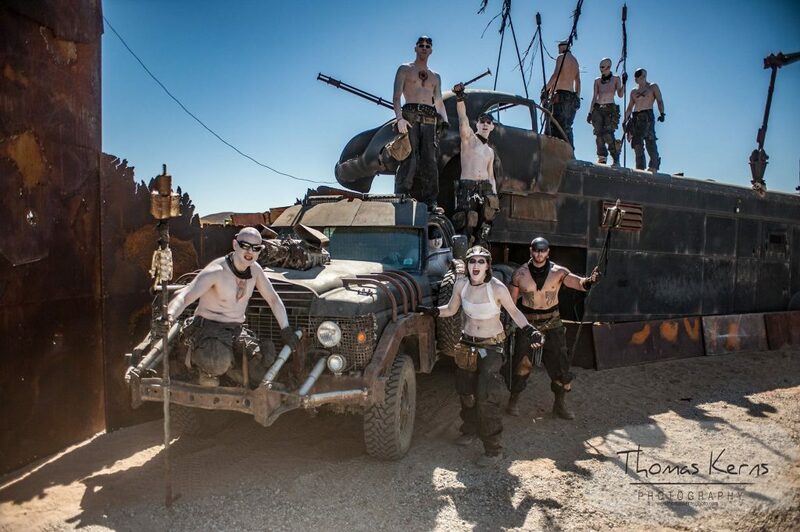 The first production car from Fury Road ever to be shown in the United States, making its debut at our car show!